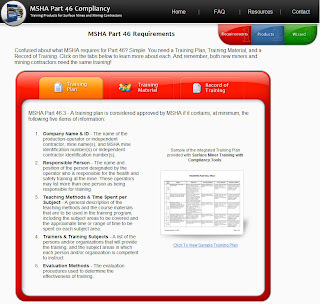 Last week, we launched our newest website, MSHASafetyTraining.com, which focuses exclusively on helping surface mines and surface mine contractors become compliant with MSHA’s Part 46. This new site simplifies the requirements and directs viewers to exactly what they need. We even provide free resources to help you complete your Training Plan and Records of Training. Visit MSHASafetyTraining.com and let us know what you think. And if you still have questions, feel free to contact us. We’ll be happy to help.